If you have clicked on this post, then there is a good chance you are a fellow momma; And if so, I hope these recipes make life a little easier when it comes to feeding your little one! You last wrote a post for DD a few years ago on Praying for Your Future Spouse after you went through a season of patiently waiting for your husband Brett. Since then you have not only gotten married, but also started a family! Fill us in on what life looks like for you now. Most of us would agree that Thanksgiving is a season when we give a bit more time and attention to counting our blessings. We reflect more on things that matter. Even when it gets busy, the nature of the holiday makes it so that we are willing to prioritize time together, serving others, and making memories. It is the perfect time to start a new tradition! 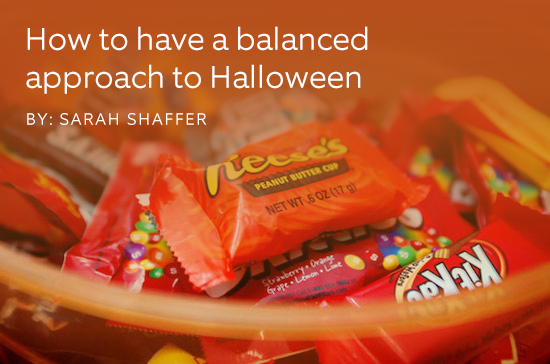 There are varying opinions about how to handle Halloween, but there’s one thing we can all agree on –there will be candy! Lots and lots of candy!